During a UBC visit today, BC Minister of Energy, Mines and Petroleum Resources Michelle Mungall announced the launch of a new sustainable building initiative. With concerns about environmental sustainability and costs of living on the minds of many, the question of how to balance these two, sometimes conflicting imperatives is becoming ever more pressing. The Better Buildings BC program is part of the province’s approach to tackling both of those concerns in tandem. The program is designed to encourage the construction of more affordable energy-efficient buildings, and in particular, buildings that are net-zero energy-ready. Net-zero energy buildings produce at least as much energy as they use up, preferably from sustainable sources like solar or wind. To that end, the Better Buildings program is mainly a design competition, wherein teams will submit designs for buildings that meet or exceed the criteria of the BC Energy Step Code, a set of optional building regulations designed to set the province on the path towards a net-zero energy-ready standard by 2032. A selection committee will judge teams based on the energy efficiency and affordability of their designs, among other criteria. The winning designs, which will be announced in the spring of 2019, will be awarded up to $390,000. Designs will also be evaluated by a selection committee on some additional secondary factors. These include “ … environmental performance overall, how well the building supports other kinds of social goals like affordability or resilience, and then finally, aesthetics,” said Lisa Westerhoff, an associate with the research and planning team at the Integral Group, one of the provincial partners in launching the competition. Mungall emphasized affordability as one of the particularly pertinent competition criteria, highlighting ongoing concerns over housing costs across the province. Beyond recognizing innovative designs, the competition is also designed to demonstrate the possibilities when it comes to sustainable development to the construction industry at large. In addition to learning about some of UBC’s building programs during her visit, Mungall also encouraged students and faculty to consider employing their architectural skills to create designs for the competition, which will begin accepting submissions on November 30. 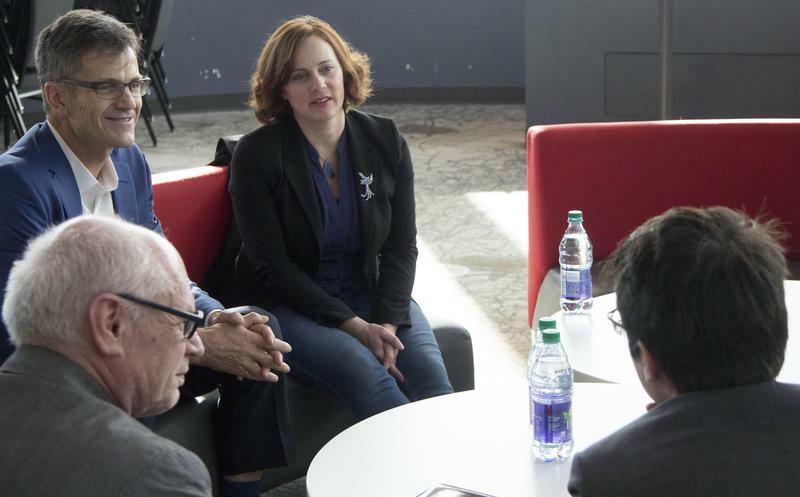 After her conversations with UBC community members, Mungall was encouraged by the ideas she had heard and was optimistic about the potential contributions students or faculty might make to the competition. “I’m really curious to see what they might be able to think of,” she said.